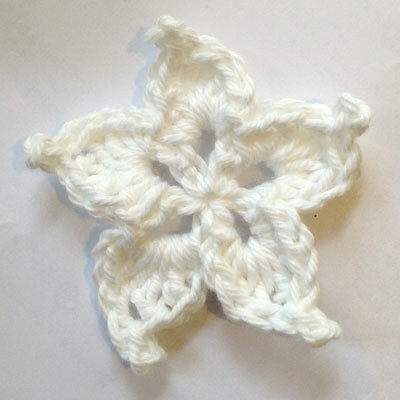 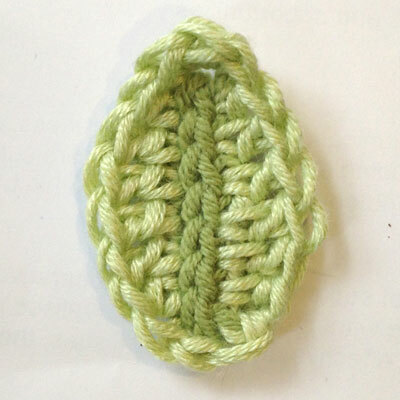 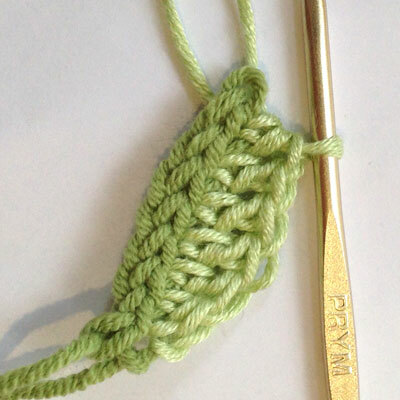 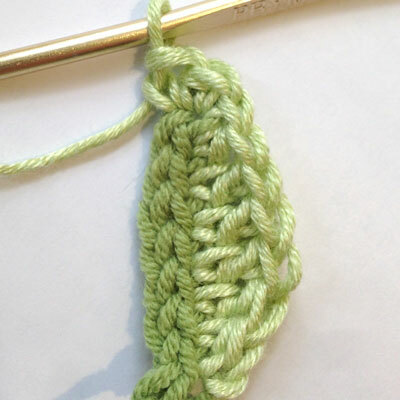 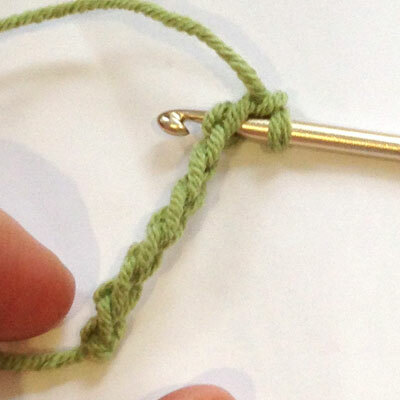 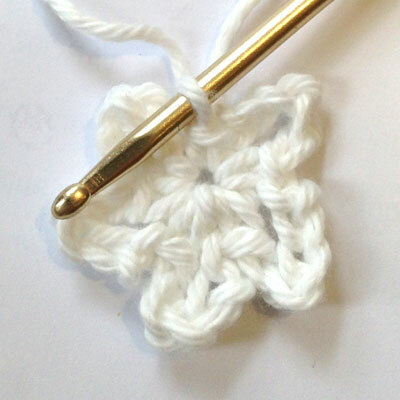 This is a super simple but effective way of making an easy crochet daffodil. 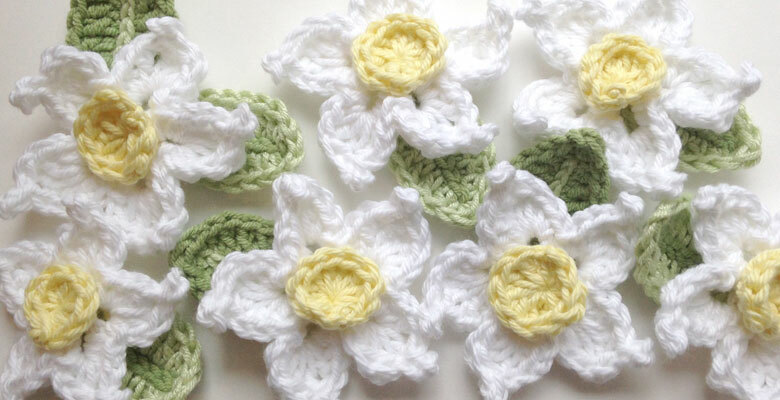 Perfect for Spring and Easter projects! 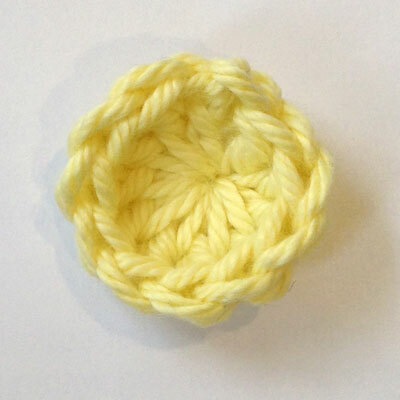 Using white or yellow DK yarn, make a MR, ch6, make 1 dc into the MR, *ch5, make 1dc into the ring * repeat from *to* three times. 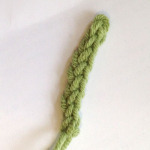 You should now have 5 chain loops. 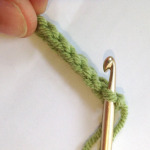 Pull MR closed. Sew the yellow centre onto the middle of the daffodil base. I like to make my leaves in contrasting greens so that the ‘stem’ stands out. 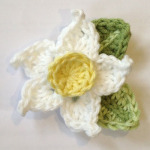 You can make them in just one colour though! To allow the ‘stem’ to standout this step is worked into the back loops only (BLO). 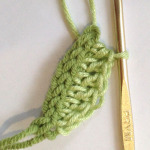 Rejoin the yarn in the BLO of the side edge of the stem in the first stitch next to your fasten off point from step 1. 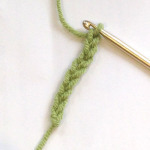 Chain 1 (counts as 1st sc), working into each stitch from the previous row make 1hdc, make 1dc in the next 4 sts, 1hdc. Working into the top of the stem (the turning chain of the stem) make (1sc, 1hdc, 1sc) Working along the other side of the stem (the ss side), make 1hdc, make 1 dc in the next 4 sts, 1hdc, 1 dc, chain 1, join with a ss to the 1st Fasten off and weave in ends.